We manufacture and supply our A gravel so that you can be confident your Collingwood project will be successful. A successful project is only possible with the proper materials, and that is especially true when laying the foundation layer. The use of A gravel to create a load-bearing layer with proper drainage and the ability to handle frost is common. Here at Flesherton Concrete Products, we serve the Collingwood, Ontario area with high-quality A gravel that you can count on for great results. Our family-owned company is dedicated to customer-centred service. Since 1985, we have built our business to include the variety of equipment needed to meet your needs for A gravel, concrete, and other aggregate needs. We serve all sectors, including residential, commercial, industrial, and municipal. Our reputation has been built on our follow-through. If we say we can deliver a certain amount of A gravel by a certain date, you can feel confident that it will be there. Our dispatching crew is highly qualified to give you the expert care you deserve. With our wide variety of products, including A gravel, and prompt delivery and service, your project can easily stay on budget and on time. We manufacture and supply our gravel, so you can be sure that your gravel delivery meets your project’s needs. 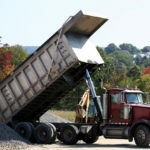 We are here for you whether you need just one dump truck load for a home project or numerous tons for a major construction project. If you have any questions about our company, products, or service, don’t hesitate to contact us. Our dedicated and experienced team will provide you the assistance you need for a successful project. At Flesherton Concrete Products, we offer A gravel to customers in Collingwood, Wasaga Beach, Flesherton, Orangeville, Owen Sound, Barrie, Stayner, Mulmur, Shelburne, and Mount Forest, Ontario.